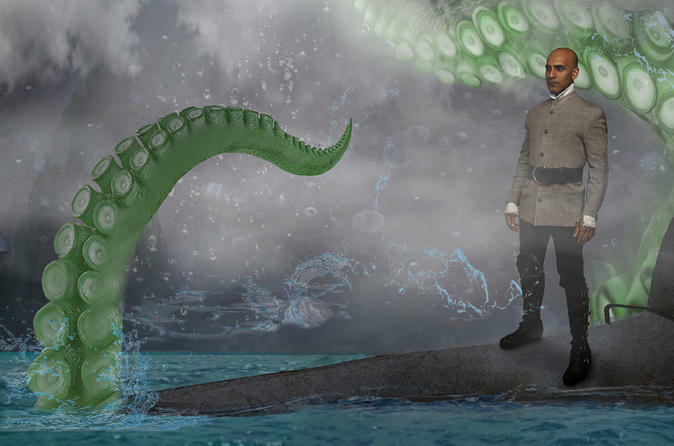 Professor Aronnax and crew set out to investigate a terrifying sea creature, but are quickly captured by the mysterious Captain Nemo. As they circle the globe aboard the Nautilus submarine, they must confront the monsters that lurk below…and within. Ensemble Member David Kersnar directs Jules Verne’s epic adventure in this World Premiere. Opened in June 2003, Lookingglass Theatre Company is located inside the Water Tower Water Works building on the Magnificent Mile in Chicago. Its pieces have an emphasis on the spectacular and the physical. The Lookingglass Theatre Company seeks to redefine the limits of theatrical experience and to make theatre exhilarating, inspirational, and accessible to all. Through theatre, which invites, even demands, interaction with its audience, the company's goal is to fire the imagination with love, to celebrate the human capacity to taste and smell, weep and laugh, create and destroy, and wake up where we first fell --- changed, charged and empowered.